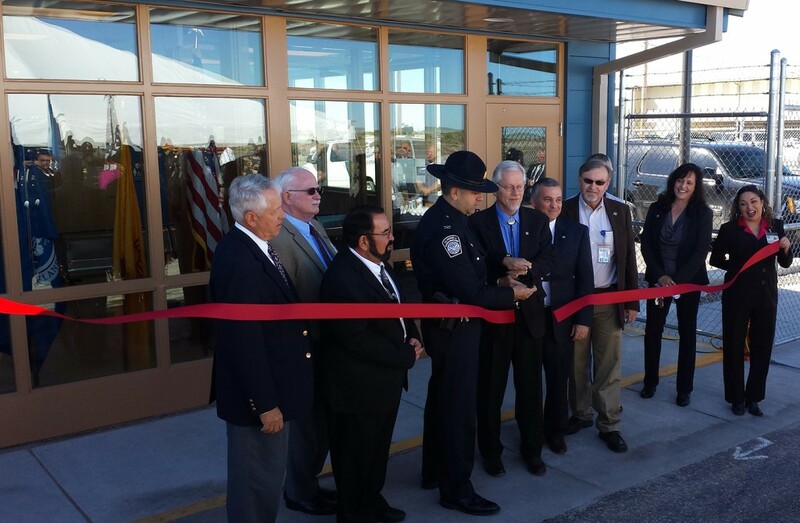 Santa Teresa – On November 7, 2014, Customs and Border Protection (CBP) and Dona Ana County inaugurated CBP’s new state-of-the-art facility for processing international flights and cargo at the Santa Teresa Jebport in Santa Teresa, New Mexico. The new 2,000-square-foot facility is equipped with baggage sensors, x-ray machines, interrogation room, and holding cell. The building also features a waiting area, bathrooms, a search room, agricultural lab, and general office space. The new facility, which will be owned and maintained by Dona Ana County, is an integral component in making the Santa Teresa industrial base truly multi-modal, with land, rail and air cargo capabilities. Raw materials and finished products are shipped in and out of Santa Teresa as part of the cross-border trade that has grown exponentially around the Santa Teresa/San Jeronimo Port of Entry. Future plans include adding a cross-runway at the Jetport to accommodate larger cargo shipments.